You will not find a better or cared for home for the price. Don't miss out. Move In and do nothing. This home is super clean and beautiful. Customer built colonial in a small, private subdivision. One way in and one way out. Very little traffic in this sub. Awesome landscaping and grounds. True pride of ownership. 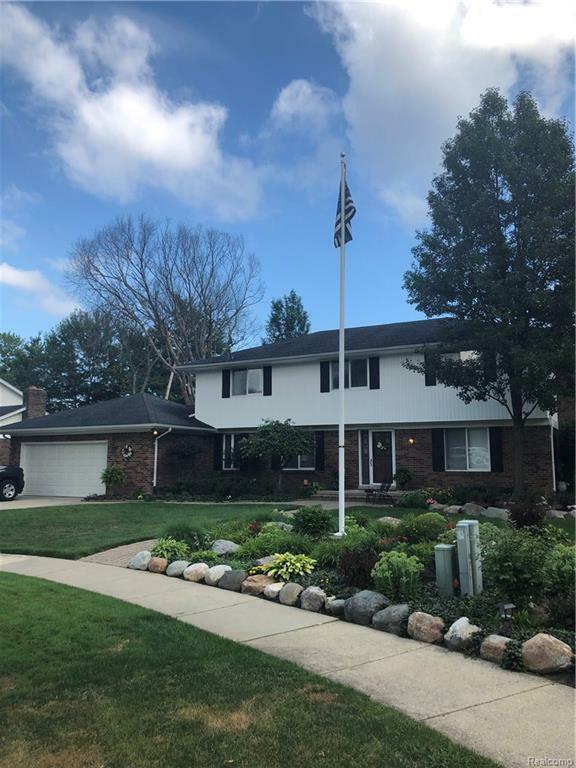 Updated roof, trim, gutters and landscaping on the exterior.Interior updates include all new ceramic tile flooring, 1/2 bath, kitchen counter tops, and freshly painted. Master suite including huge bath, walk-in closet and fireplace place, note the size. Generous room sizes throughout the home. This is a must see home. IDX provided courtesy of Realcomp II Ltd., via Discover Real Estate and Realcomp, ©2019 Realcomp II Ltd. Shareholders.